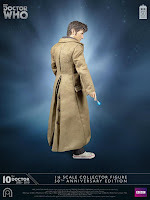 The Tenth Doctor is ready to embark on his next time-travelling adventure, in his brown pinstriped suit and trademark trench coat, his ever-present Sonic Screwdriver by his side. 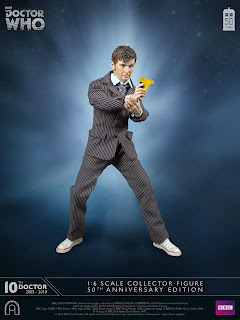 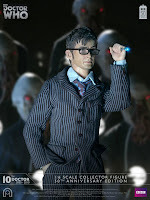 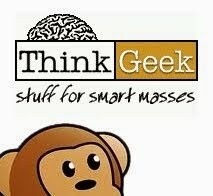 The Doctor comes complete with numerous accessories including his spectacles, 3D glasses, fob watch, psychic paper wallet and water pistol. 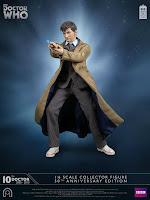 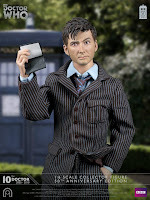 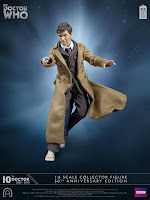 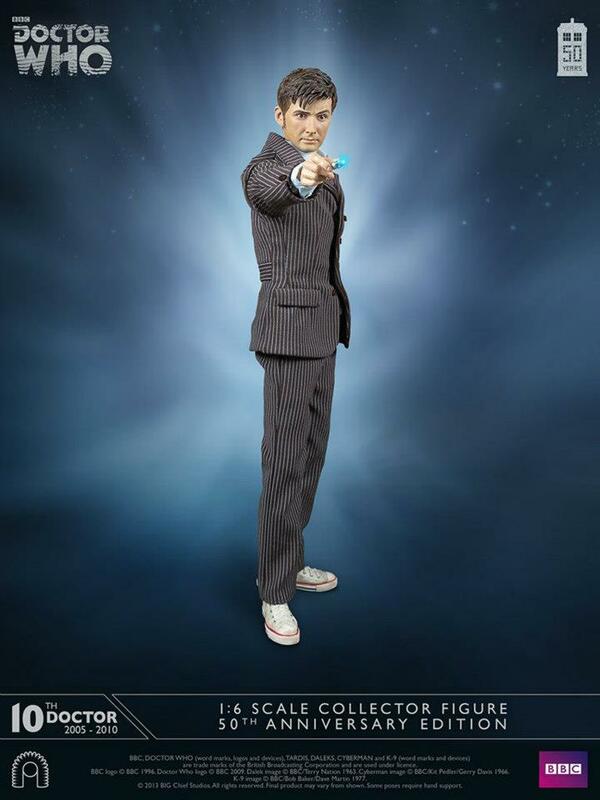 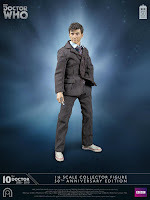 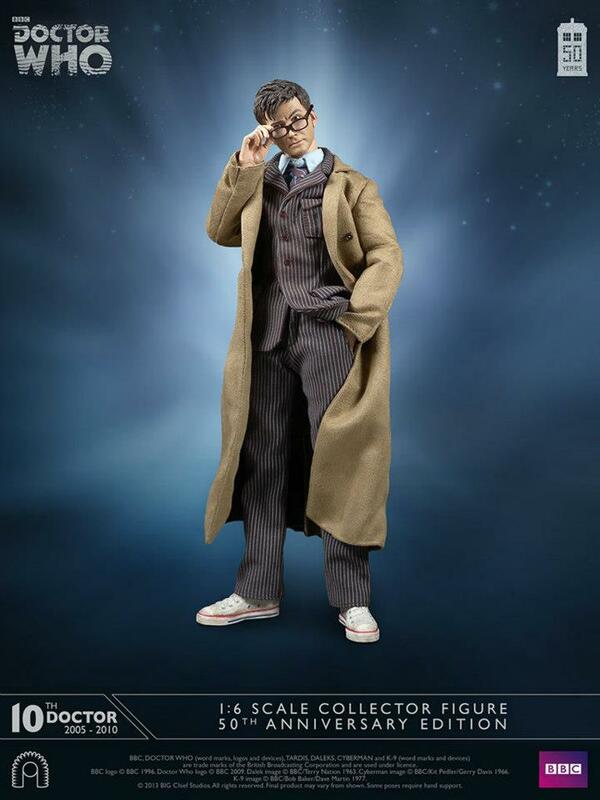 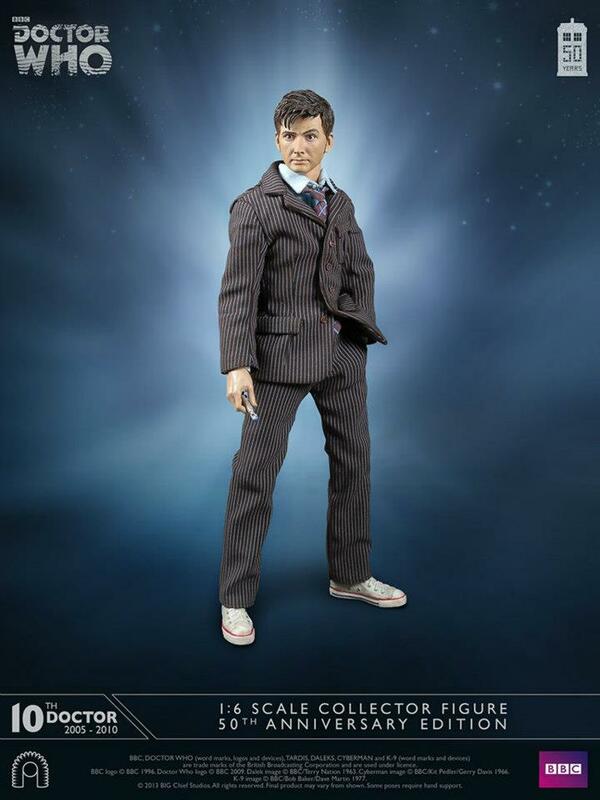 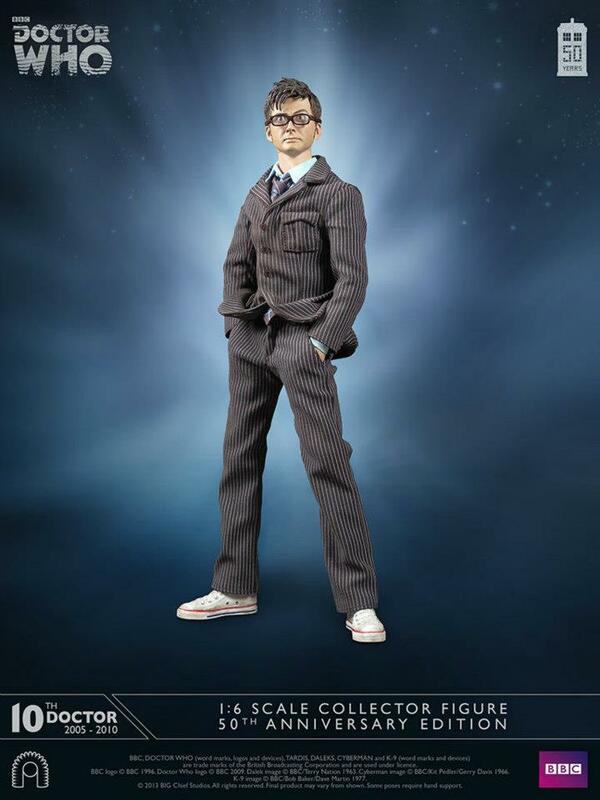 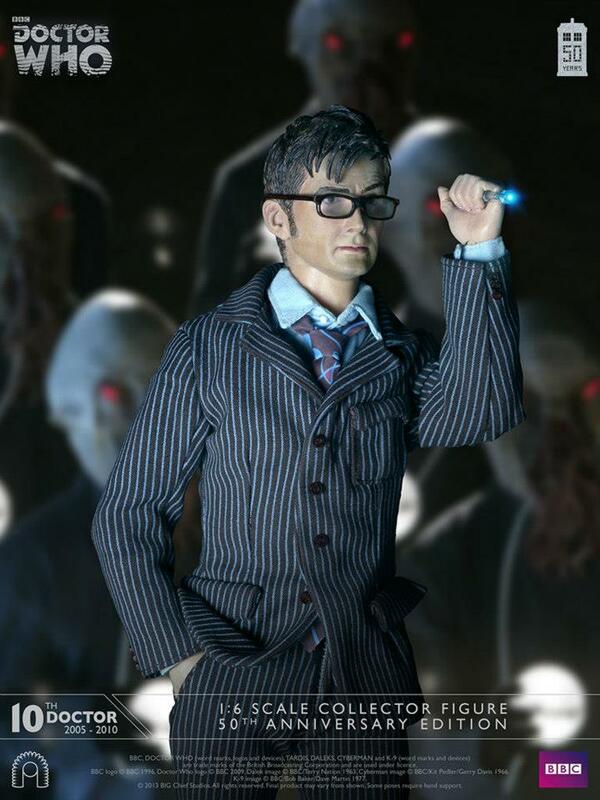 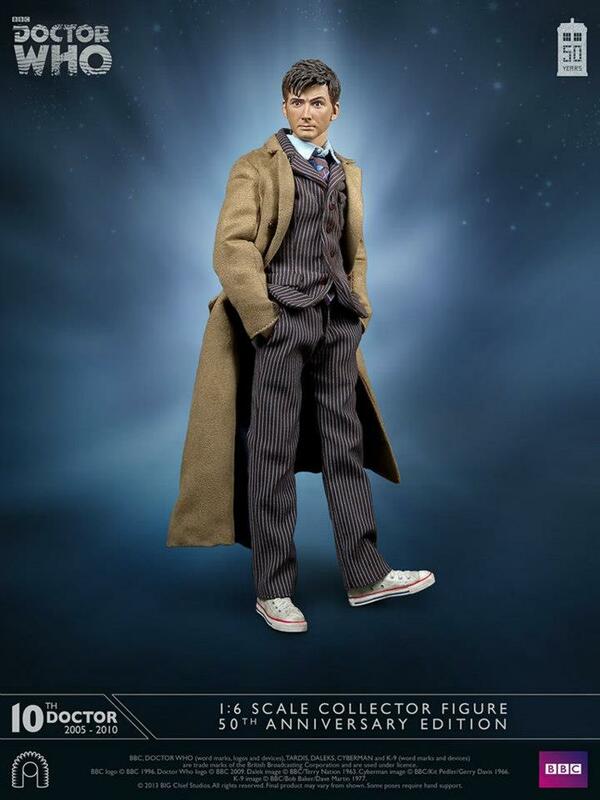 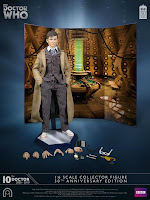 With eight interchangeable hands to adopt various poses and an illuminating display base featuring the Gallifreyan symbol for the number 10, this is the ultimate collectable for fans of the Tenth Doctor. 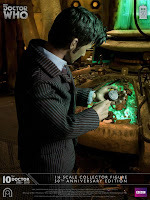 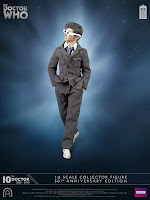 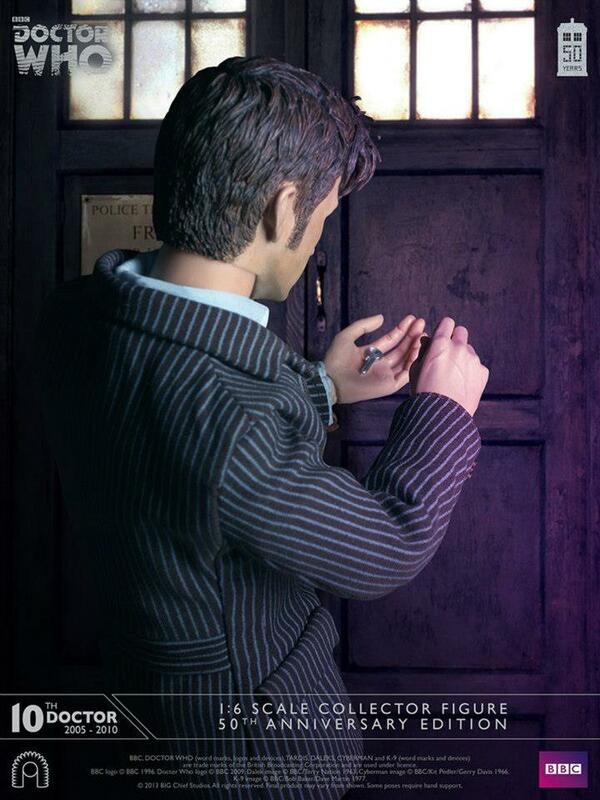 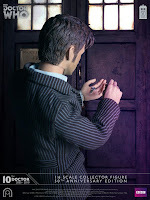 To develop the most accurately scaled collector’s figure, our artists studied countless reference photographs, to create a realistic and authentic character portrait of the Tenth Doctor so memorabily portrayed by actor David Tennant. 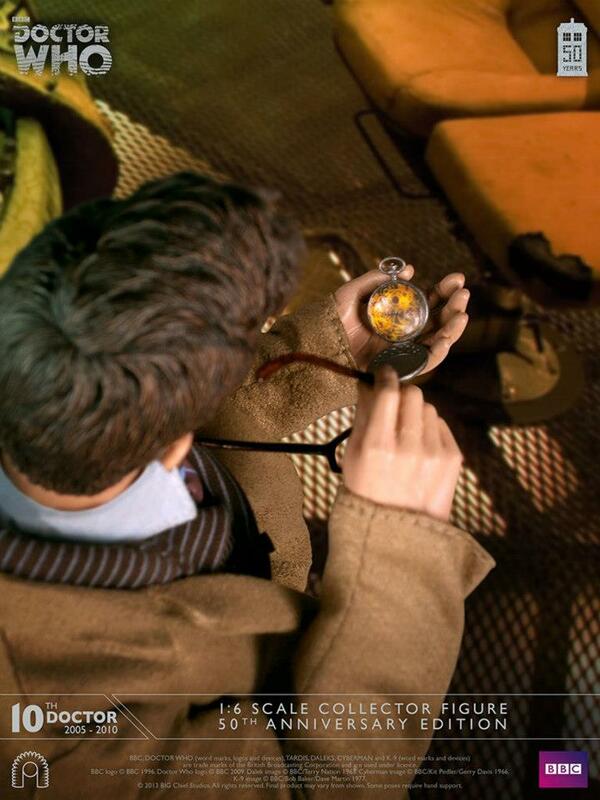 The Time Lord’s trademark costume was hand-tailored in exacting detail, together with his signature accessories. 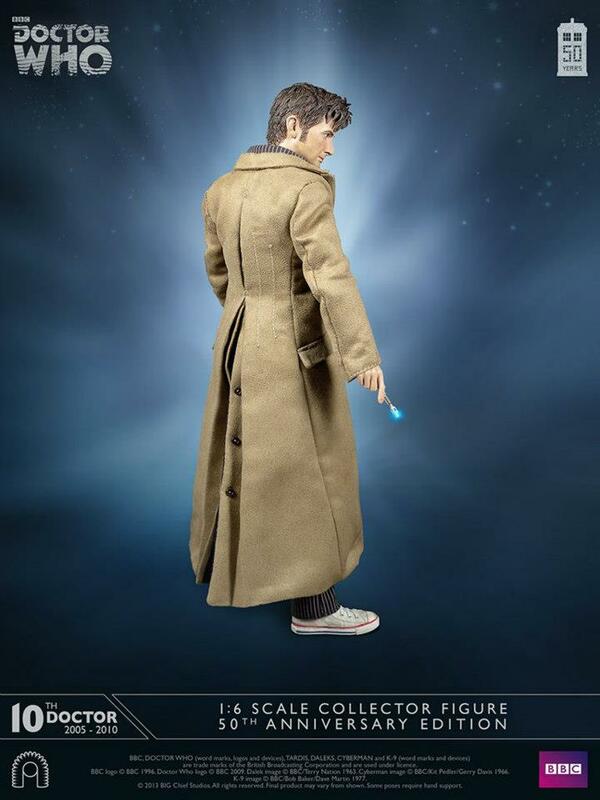 Officially licensed and authorised by BBC Worldwide, the 50th Anniversary Limited Edition is limited to only 1000 pieces worldwide and is exclusively available from www.bigchiefstudios.co.uk and will not be sold via other retailers. 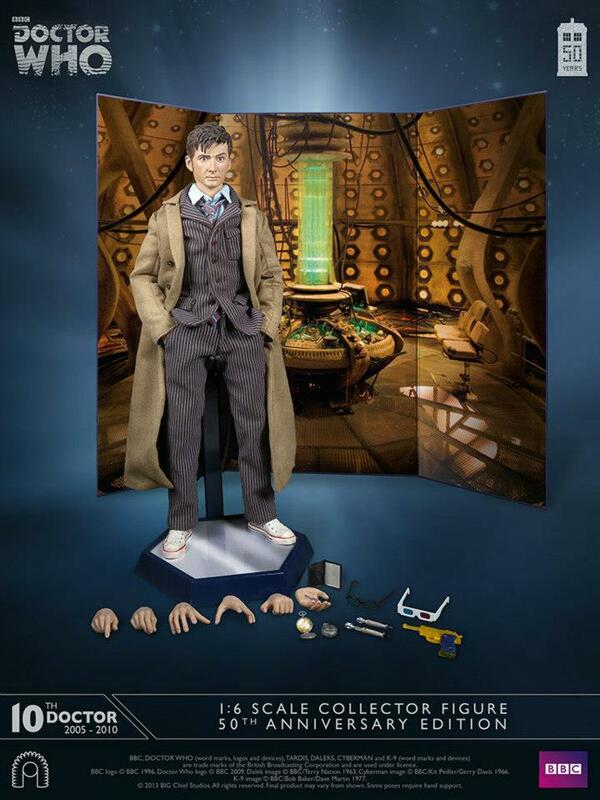 Each figure is numbered and includes an accompanying certificate of authenticity. The Signature edition sold out in 30 minutes, so this one is sure to sell out as well!